Does Your Commercial Roof Need To Be Replaced? | Quality Roofing Co.
Home > Blog > commercial roof > Does Your Commercial Roof Need To Be Replaced? Can you tell if your commercial roof needs to be replaced? 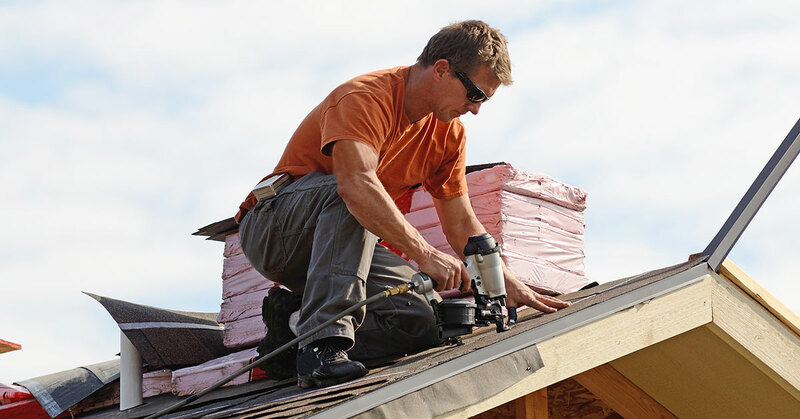 With each changing season, your roof puts up with a lot. That why roofing professionals recommend you have it inspected once or twice a year. It’s good to check your own roof often to make sure everything is normal. But make sure to have a professional take a look just in case. To catch problems early, have your commercial roof inspected regularly. This will include checking for signs that your commercial roof needs to be replaced. Now let’s check out some of those signs. An average commercial roof will last around 20-25 years. As the roof ages, the potential for problems rises. One issue we see on aging commercial roofs is blistering. This happens when moisture seeps under the outer layer of the roof. Then, as the sun heats the roof, the blisters are aggravated. These weaknesses will lead to leaks and other issues. A worn and leaky roof isn’t able to seal in the building’s heating and air conditioning. If you notice unusually high heating and cooling bills, it could be because your roof needs to be replaced. Small fixes can typically stop small problems. But if there’s enough damage to the roof, it may need to be replaced. An inspection by an experienced professional will help you determine what to do. Rotting and water stains are sure signs that there is already a leak in the roof. If you find these, your commercial roof will almost certainly need to be replaced. Water stains hint at the presence of mold and rotting wood. Any roof rot not only compromises the effectiveness of the roof, but also seriously decreases its safety. It’s best to call a licensed, bonded, and insured roofer who can safely inspect the state of your roof. If damage to your roof go unnoticed or ignored, the damage ultimately spreads throughout the building. Anything that can get through leaks or gaps in the roof will escalate the problem, whether that’s rain or ice, or mice and other pests. If you notice water stains, mold growth, or signs of pests entering through the roof, take action before the problem gets worse and the solution gets more expensive. Don’t delay. If you have noticed any of these signs that your commercial roof needs to be replaced, call Quality RRC today at (615) 604-5165.